Liabilities, property, buildings – all types of commercial insurance. We can tailor a policy to suit your needs. If your business buys, sells, repairs or modifies vehicles then we can source an insurance policy for you. Whether a sole trader or managing a company with a number of taxi or private hire vehicles, we can help. Plan Insurance Brokers: Rated 4.8/5 based on 885 customer reviews in the last 12 months. Cover will be professionally tailored to suit your business. Plan expertly arrange all types of commercial insurance policies. You can have complete confidence that your employees, clients and business assets will be fully protected. We have established extensive commercial insurance markets during nearly three decades as specialists. Strong relationships with underwriters at major insurers enable Plan to provide competitive quotations and high quality cover. We have built a reputation as leaders within the commercial motor industry. This is largely due to a range of bespoke covers and series of innovations that we have brought to each market place. For multiple quotes with minimal hassle, or to ask any questions regarding your insurance needs, speak with an experienced advisor. Call 0800 542 2740 now to find out how Plan can help keep your business motoring. We are commercial insurance brokers that provide intelligent insurance solutions. We constantly seek to streamline processes with the aim of simplifying the insurance process on behalf of our clients. Our forward thinking approach to I.T. ensures that our service is always enhanced not governed by technology. 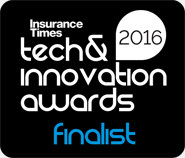 For that reason we have been selected as finalists in the Insurance Times Tech and Innovation Awards 2016. We now offer online quotes for a number of risk types. All documentation can be supplied digitally and delivered instantly with the minimum of fuss. However we appreciate that some clients prefer more traditional methods and also happy to accommodate these requests. We have established extensive commercial insurance markets during our 27 years as specialists. Having strong relationships with underwriters at leading insurers allows Plan to provide competitive quotations and high quality cover across a wide array of industries. More often than not we find a company’s motor policy makes up a substantial proportion of its insurance overhead. We have particularly strong commercial motor insurance markets. This is due to having exclusive access to unique insurance schemes. Frequently these products enable Plan to offer companies considerable savings on their commercial motor insurance premiums. Independent rating company Feefo have awarded Plan a Gold standard rating three years running. The award is based on over 1,800 pieces of individual client feedback. We were also winners at the Family Business of the Year Awards 2016. So you’ll have the peace of mind that comes with knowing you’ve received personal attention from a family business that values its clients. Plan Insurance Brokers are established as thought leaders within the insurance industry providing expert opinion and advice in areas of regulation. Both our products and our services have won awards, from Customer Service to Insurance Providers of the year. Our Taxi Insurance Checker (TIC) proposal won us a place in the finals of the Tech and Innovation Awards 2016. Read more about the innovative portal idea for reducing insurance fraud here. As commercial motor insurance experts “Keeping your business motoring” summarises our complete approach to customer service and the cover we arrange. We aim to turn risk into peace of mind for the UK’s professional road users. Without your vehicles you simply cannot earn. We make it our priority to reduce the chances of your vehicles spending time off the road. Our cover options are tailored to the exact needs of our clients’ businesses. For example to aid public and private companies our cover options include a “like for like” guaranteed hire replacement courtesy vehicle policy in the event of both fault and non-fault accidents. This proves particularly invaluable to chauffeur drivers. Our Black Cab Insurance serves London’s cabbies particularly well by including great value breakdown insurance as standard. For multiple quotes with minimal hassle, or to ask any questions regarding your insurance needs, speak with an experienced advisor by calling 0800 542 2743 . Read our latest posts from our Insurance Blog with news, views and product reviews. Are alcohol and drug abuse destroying the image of the Construction sector?